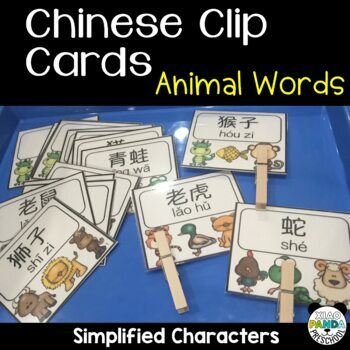 Teach and practice animal vocabulary in Chinese or in a Chinese immersion classroom with this set of clip cards. This activity can be done individually, in a group, or with partners. 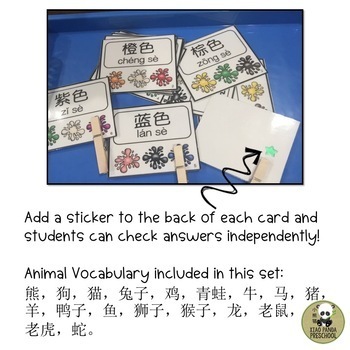 Students can check their own or their partners answers by attaching a sticker on the back of the clip card. This set is included in my Chinese Clip Card GROWING BUNDLE at a huge discount price! The earlier you purchase, the more $$ you save! The bundle includes all my Chinese clip cards, PLUS all my future clip cards!